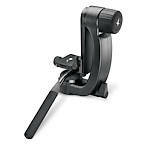 Swarovski Tripod Heads include the standard DH 101 tripod head and the new Professional Tripod Head (PTH). 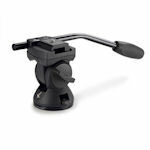 Both are designed to fit all Swarovski tripod legs (or any tripod legs with a 3/8" mount screw), and are available separately. Swarovski spotting scopes fit directly into the DH-101 head mounting bracket without need for a quick release plate, though one is provided for using a camera. 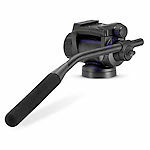 The Professional Tripod Head is a gimbal head and uses the Arca Swiss mount system.